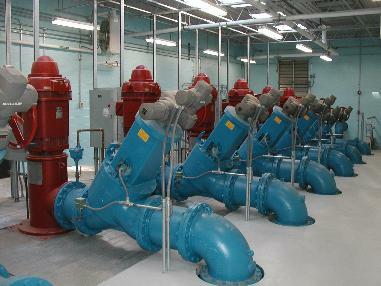 Clinton Avenue Booster Pump Station Rehabilitation. Design of the rehabilitation for 12 MGD booster pump station for mechanical, electrical, structural, architectural, and site improvements. The rehabilitation included increasing the stations pumping capacity from 12 MGD to 25 MGD and adding the capabiltiy to pump to a new higher pressure gradient.